This course provides participants with an in-depth understanding of the principles behind successful and safe exercise prescription for the prevention of falls. This course is conducted online with active course facilitation throughout the four week period. This means that participants will be able to access course materials and complete course learning activities at their convenience throughout the course. Course materials include a mixture of video, written and power-point learning materials, extended learning materials for advanced participants, and online assessment tasks. The course is designed for health care providers interested in the field of falls prevention. The course requires two hours time-commitment per week, completed at a time convenient to the participant. The ‘self test’ at the conclusion of the course will take approximately one hour, and will need to be done within two weeks of completing the course material. This online short-course will be run over a total of 4 weeks, beginning at the advertised starting point. Each week you will need to complete learning tasks to help you construct and retain important knowledge and skills relevant to giving performance feedback. These tasks may range from submitted tasks, to practise activities or discussion comments to fellow participants. The skills and knowledge required to complete these weekly tasks are provided within the weekly learning resources, and are expected to take you approximately 2 hours time commitment per week, at any time day/night that suits your schedule. You will be responsible for maintaining your participation in the course. Group feedback will be provided for each task to enable participants to develop self-evaluation and reflection skills. All tasks must be completed to a satisfactory level to receive your certificate of course completion. This four week course is designed for physiotherapists who work with children and adolescents with cerebral palsy. It will assist participants to advance their knowledge regarding the diagnosis, treatment and management of CP across the age span. Study specialist degrees at Monash from day one. Monash University offers a broad range of study options within the medical and health sciences. 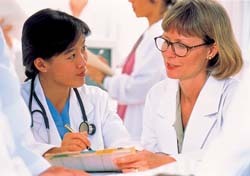 Our diverse postgraduate coursework programs touch upon fields including Nursing, Psychology, Primary Care, Public Health and Preventive Medicine, Biomedical Sciences, Medical Radiations, Medical Ultrasound, Physiotherapy, Occupational Therapy and Emergency Health and Paramedic Practice Perioperative Medicine, Social Work, Forensic Medicine, Dietetics, Addictive Behaviours, Clinical Embryology, Mental Health Science.